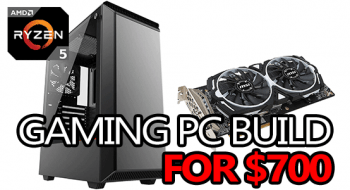 If you're trying to build a powerful gaming PC for $1000 then this is exactly what you need to see! Featuring an i5 9400f, an 8GB RTX 2070, 16GB of RAM and 1TB of storage! 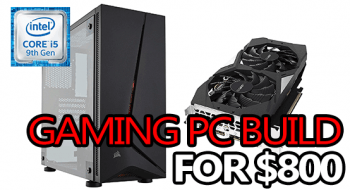 With a budget of $1000, you can pretty much guarantee that the computer you build can handle 1080p and should also be capable of putting out 1440p if you don't mind lower fps or lower than max settings. 1080p gaming is not even an issue. 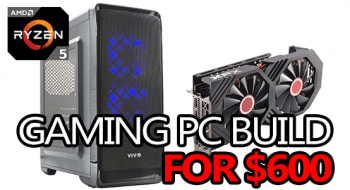 This is basically a perfectly balanced price-point for building your own gaming PC, it's enough to get you amazing hardware while still maintaining a reasonable budget. That all said, if you're looking for a build running an AMD Ryzen processor then you might want to check my other $1000 Ryzen build out instead! It comes with an R5 2600 + RTX 2070 + 16GB of RAM; definitely a beast worth checking out! Mid tower ATX case, great layout and awesome cable management. Comes with 1x 120mm fans. 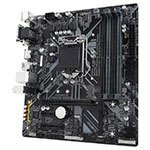 mATX form factor, B360 chipset, LGA 1151 socket. Good built-in ethernet and audio, total of 6 USB ports, 6x SATA and 1x M.2. 6-core/6-thread 2.8GHz (base clock) processor that boosts up to 4GHz. Does not support overclocking. 8GB GDDR6 graphics card. 5 display outputs. 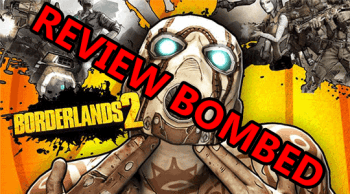 Great 1440p (and 4K) performance! 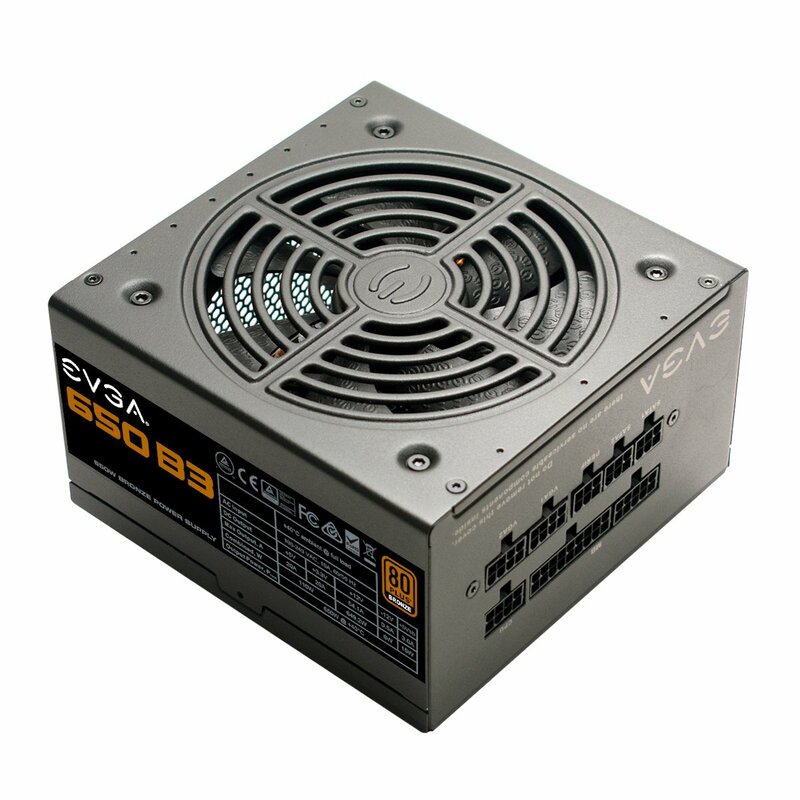 650W fully-modular 80+ Bronze power supply. Rated up to 85% efficiency. Comes with a 5-year warranty. 2x8GB 3000MHz DDR4 RAM, CL15. Dual channel pair. 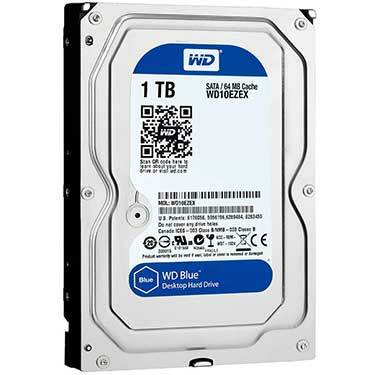 3.5 inch 7200RPM HDD, 64MB cache. One of the best parts of building a PC is being free to customize your build as you see fit. Below, you’ll find some potential upgrades as well as items you could (or should) add to your build. Not all of these are necessary, but add-ons (like an SSD) are definitely suggested as they will improve your experience a lot. 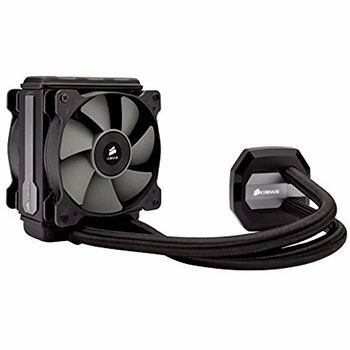 Instead of air cooling your CPU, why not try a closed loop liquid cooler? 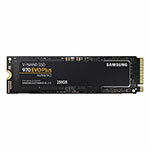 A 250GB M.2-based NVMe SSD like the 970 EVO Plus is a step up from basic M.2 or SATA SSDs. They offer significantly more speed, but at a higher price /GB in comparison. 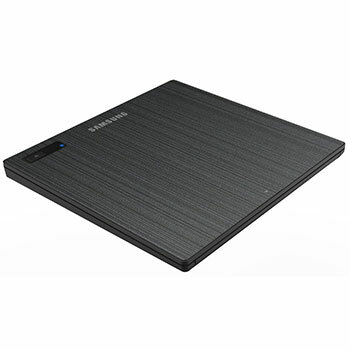 External optical drives are generally just as good as their internally-mounted counterparts, and in some cases it’s necessary to go external over internal. 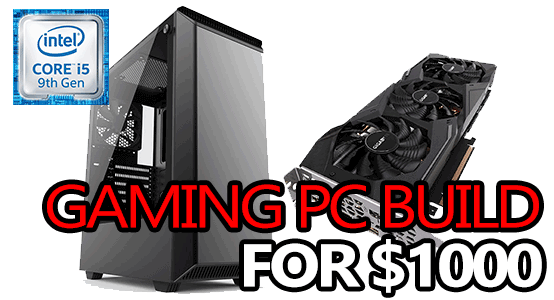 This $1000 gaming PC build is going to absolutely dominate anything you throw at it in 1080p and will even let you step into some 1440p gaming as well! If ultra settings in 1080p @ 60fps is what you're aiming for, then you've definitely found the right gaming PC build! Keep in mind that the price above is for the core components only, you will still need an operating system, and any other peripherals you don’t currently have. Case: The Phanteks Eclipse P300 is an awesome mid-tower ATX case. You get a handful of premium features without spending a premium price. The P300 comes with a full PSU shroud, a big tempered glass side panel, good airflow, and clean cable management options. If there's one downside to the P300, it's that it only comes with a single 120mm fan. Although it would work well to exhaust hot air from your case, adding 1-2 more 120mm fans to pull cool air in would be a good idea. Motherboard: The Gigabyte B360M DS3H is an overall great motherboard for the price. It supports the LGA 1151 socket and runs on the Intel B360 chipset - meaning it does not support overclocking. The B360 DS3H comes with 6x SATA ports, 1x M.2 port, and has a total of 6 USB ports. Beyond that it comes with good integrated audio that'll support basic 2.1 systems as well as a built-in ethernet controller. Processor (CPU): Intel's i5 8400 is a bit of a beast compared to previous i5 iterations. This 6-core/6-thread CPU is capable of handling all but the most workload intensive tasks. It'll have no problem powering through everything older i7's did and then some! 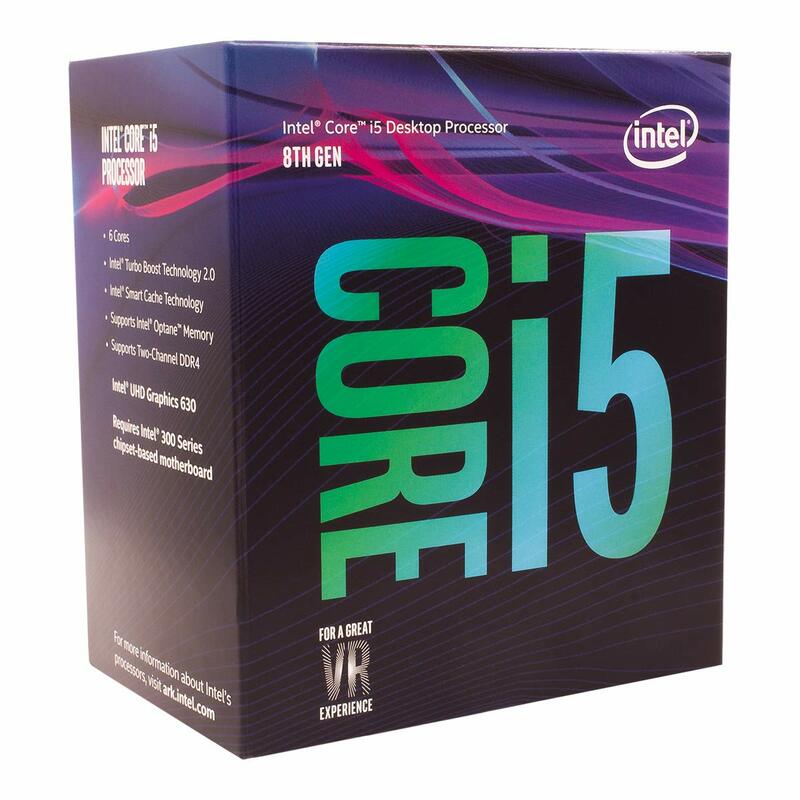 An i5 CPU from before the 8th gen isn't even in the same realm of comparison as a new i5. It should be noted that the i5 8400 is locked and does not support overclocking. But, it does come with its own CPU cooler. 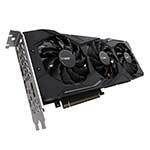 Graphics Card (GPU): The 8GB RTX 2070 is easily the best GPU you can readily buy for around $500. It's easily capable of handling any game in 1440p at 60fps+. It's also capable of 4K gaming if you don't mind running mid-high settings in those more graphically demanding titles. AMD's Vega 64 is another good option, but it can be difficult to find good models of those with reasonable prices. Gigabyte's RTX 2070 Windforce comes with a great cooling profile, a sleek minimalist look, and 5 display outputs including 3x DisplayPort, 1x HDMI, and 1x USB Type-C.
System Memory (RAM): 16GB of 3000MHz RAM in a dual channel setup from Corsair's Vengeance LPX lineup of DDR4 RAM is the perfect amount - for a build at this level. Any more than 16GB and you probably won't notice a difference when gaming, but if you are a heavy multi-tasker or you use your PC for demanding workloads, then more might be a good idea. 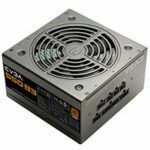 Power Supply (PSU): EVGA's fully-modular 650 B3 is a great Bronze-rated power supply that won't let you down. Thanks to it's fully-modular layout, you only have to connect the cables you'll be using which means cleaner cable management. It'll consistently deliver more than enough power to this build regardless if you're running base clocks or you've overclocked everything to sky high numbers. It's capable of delivering up to 85% efficiency under typical loads and comes with a 5-year warranty just in case the worst were to happen. Storage: To fit the RTX 2070 in this build, I had to make a tough decision. Either it was going to go over budget by more than we already have, or to sacrifice another component. That being said, I decided to go with a single 1TB HDD in this build (by default), opposed to the HDD + SSD (or even SSD+SSD) setup I would have preferred. However, if you don't mind spending a bit more, you can pick yourself up a 240GB SSD for about $40. 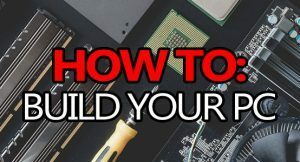 If you're on a budget of $1000, you're in luck, because that's the perfect amount to spend on a DIY gaming PC build. If you were to go to Best Buy and pick a prefab PC up for $1000, you wouldn't get anything near the level of this beast. When it comes down to picking an operating system for this build, you have a couple of options. One is free, the other is about $100. 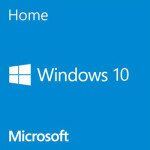 The best choice if you want access to the widest array of compatible programs & games is going to be Windows. 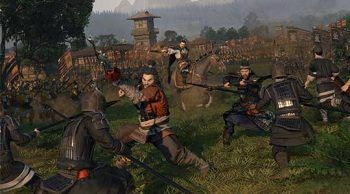 There are a few different versions available, but the one you'll want to look at is Windows 10 - especially if you want to take advantage of DirectX 12, and you do. Your free option would be to grab yourself a copy of Ubuntu and run that. 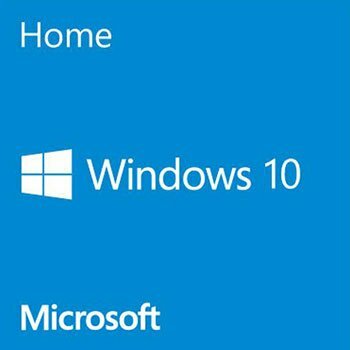 It's a solid Linux-based OS which is widely supported by most Windows based programs and games, although you might have to run some in a program called Wine. When it comes to actually installing your OS, you basically have 2 choices. You can either do it the old fashioned way by using the retail DVD, or you could create your own bootable flash drive. If you're planning to use Linux you can also burn an installation DVD. For instructions on how to create your own bootable flash drive, check here. Since picking a monitor can be difficult with all of the different features to consider, check out my guide on how to pick the best monitor for gaming. Even more important than picking out the right monitor is picking out the right chair. With all of the options available, it's easy to get lost and make a bad decision. To make sure that doesn't happen, I've put together this list of the 16 best gaming chairs out there! 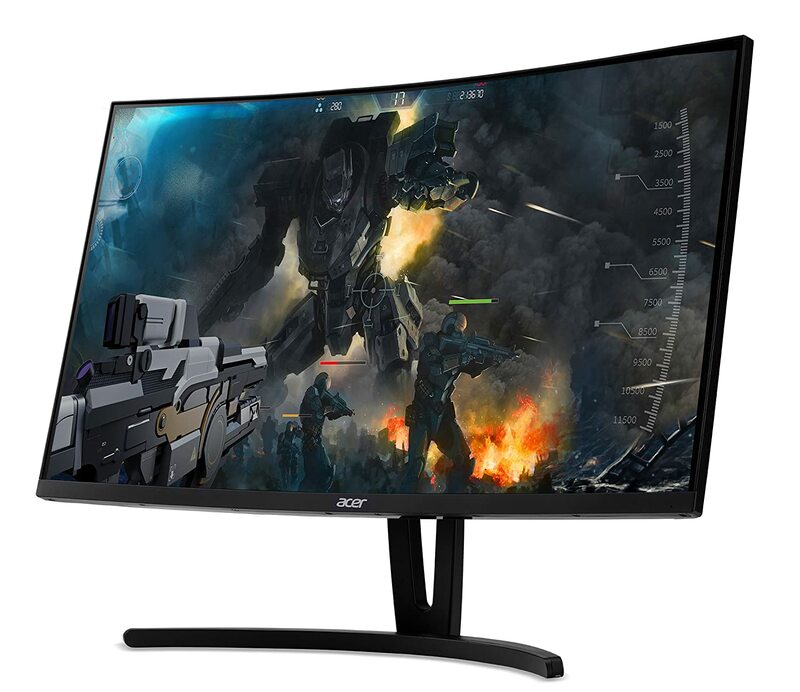 A great 27″ 1080p 144Hz monitor with a curved VA panel that’s G-Sync compatible! 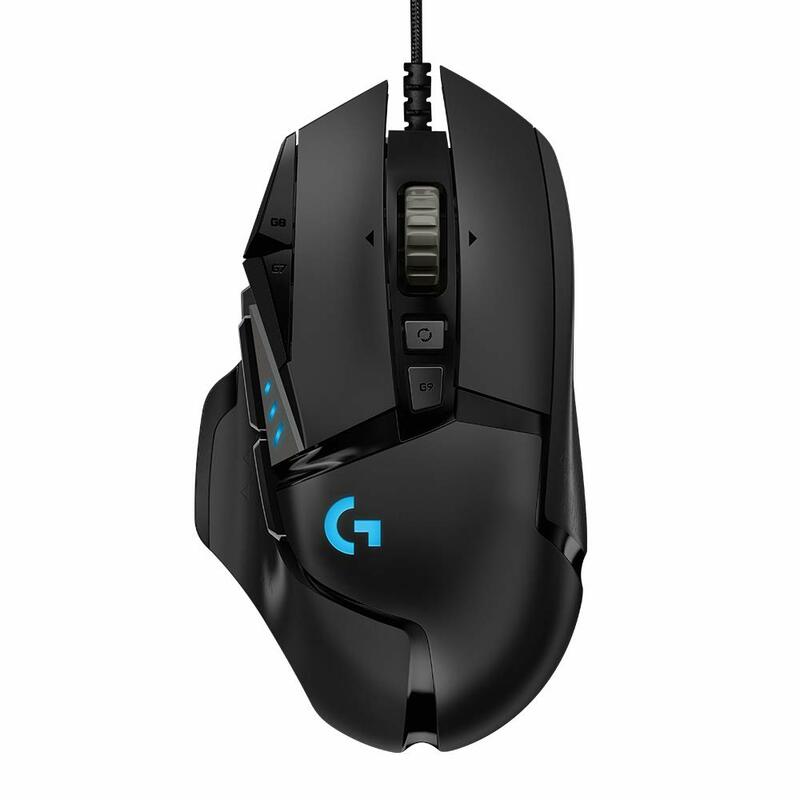 Clean RGB lighting, very comfortable to use, great sensor accuracy, adjustable weight. 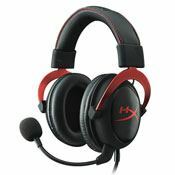 The HyperX Cloud 2 is my top rated gaming headset for under $100 and for good reason! 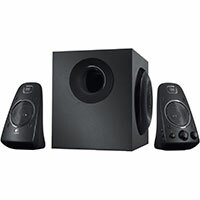 2.1 channel, 200W RMS/400W peak speaker setup. If you like bass and lots of it, this is an awesome choice. Since the motherboard in this build comes equipped with an ethernet controller, it can easily connect to the internet via a wired connection. But, if your only option is WiFi, then you're also going to need a WiFi adapter. There are a couple routes you can choose. 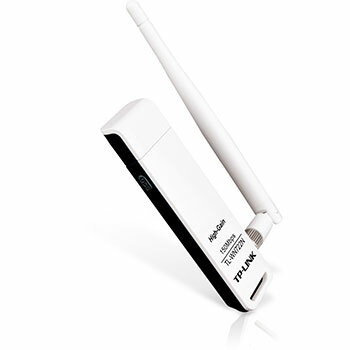 You could get a decent USB-based WiFi adapter for around $20 and it would work alright. 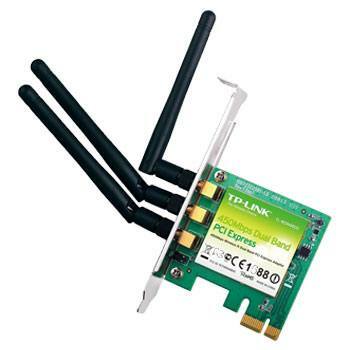 Alternatively, you could get a more reliable internally mounted WiFi adapter for around $35. Internally mounted WiFi adapter. 2.4GHz or 5GHz. 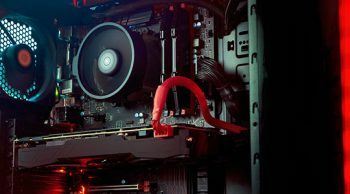 For around $1000, this gaming PC build will last you well into the future of modern games and continue to give you a seriously incredible gaming experience. If you need to game on the highest settings then you've found the right build because I've set you up with a rig that is definitely delivering a lot of bang for your hard-earned bucks. This build can easily handle any game you can throw at it in 1440p on high settings or better without breaking a sweat. 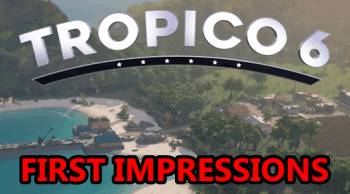 In 1080p, you could easily max anything out and get 100fps+ without a problem. If you have any questions, comments, concerns or otherwise, feel free to leave them in the comment section and I'll answer them ASAP! 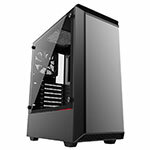 Would u recommend this build vs the ryzen build? and what difference would it make if i got a 1300 dollars rtx 2070 build compared to this. It depends, this build is slightly better for gaming but the Ryzen build is slightly better for streaming. This build can’t be CPU overclocked, but the Ryzen build can. With the $1200 build, you’d be getting a better CPU with the ability to overclock. 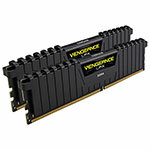 So would upgrading the RAM from the 16gb Corsair Vengeance to the 32gb Corsair Vengeance still make this buil doable? Also, if i were to get another fan, what’s the best choice? You can definitely run 32GB of RAM in this build, but that amount is a little overkill unless you have a specific use for it. If you don’t care about RGB/LED lighting, Noctua’s NF-P12 (or P14 if you want 140mm) would be a great choice. 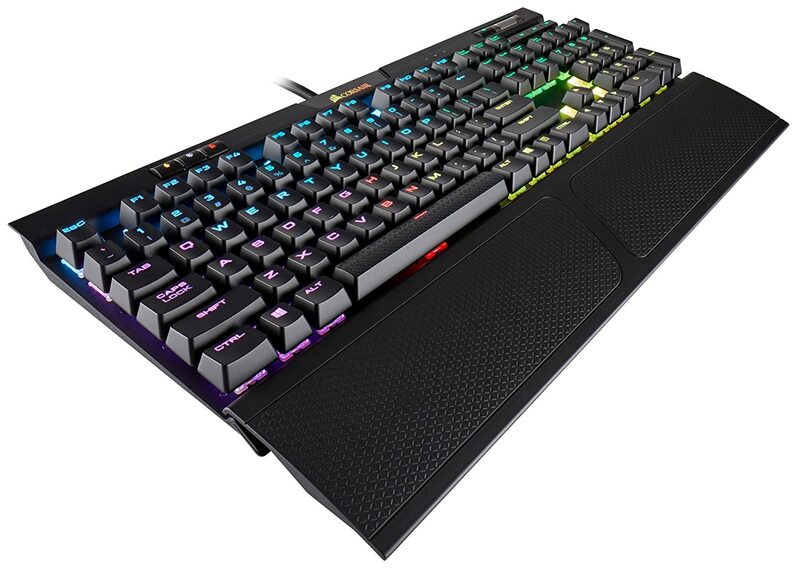 Or, if you want RGB/LED lighting, Corsair’s ML120 or ML140 would be good choices. I think you might be getting storage and system memory (RAM) confused with each other. Cellphones definitely don’t have 32GB+ of RAM (yet), but a lot of them do come with more than 32GB of storage. what thermal paste brand should I use? Arctic MX4 is a good choice. Thermal Grizzly Kryonaut is another good choice. ok thanks also I have never tried to build a pc before so I don’t know much about this concept but do I need to buy any wires for this separately or does it come with the parts? No worries! Feel free to ask any questions you might have. All of the cables you need will come with the listed parts. Your power supply comes with all of the required power cables and your case will come with 2 SATA data cables – enough for the HDD and SSD. That’s really all you need. In terms of mounting hardware, your case will come with that also; it’ll come with the motherboard standoffs you need (basically just little pegs) as well as the screws to secure it. The only time you might need extra cables is if you’re customizing the default build. If you’re adding more than 2 drives you’ll need more SATA data cables. Or, if you’re adding more fans then you’ll need either fan splitters or a fan hub/controller. Basically, everything you need to assemble the desktop comes with the 7 items listed under the build list.
. Can I just purchase that one as a plug in play? I see theirs specific styles listed you can pick from but I wouldnt know which style to get. Or should I get the one you have listed currently. My computer runs amazing still but I like to play Rust and the load times take me 15-30minutes. If I close it from my task manager and reopen it; it can take up to 10min still. Whoops, I forgot to put my name on this. This is my post. Thanks for the continuous help! No worries! Just one of the downsides of my comment section being built with anonymous commenting in mind. Honestly, you could probably get by with adding another 2400MHz 8GB module while noticing a big difference. It would simply install alongside your current module and you’d then have 16GB of RAM. You could also go with the 16GB module you linked, but running a total of 24GB of RAM is a little excessive for most builds. It’s not a bad thing and won’t cause any harm or hindrance, it’s just excessive. Those load times sure sound typical of Rust. I’m actually a little surprised they haven’t fixed that yet! If your mobo has an NVMe M.2 port (I think it might, but I’m not 100% certain as I can’t quite remember your exact board) then it’s definitely recommended. If you thought your SATA SSD was fast, just wait until you experience an NVMe M.2 SSD 🙂 The difference is almost like upgrading from an HDD > SSD all over again. Good news, not only does your board have an M.2 port, but it also supports NVMe drives! Yep, you sure could! Although you could buy & use a faster speed without a problem, it would automatically clock itself down to the speed of your slowest stick (2400MHz). The SSD listed was only available used. They had this one listed as the newer model and it wasn’t used . Would this suffice as well? Darn, it must have just gone out of stock. But, the 970 Evo Plus would definitely work as a replacement; as a bonus, it’s actually a fair bit faster than the basic 970 Evo is.